Borna Mehrad, M.D., a professor and chief of the UF College of Medicine’s division of pulmonary, critical care and sleep medicine, thanked the foundation and said the designation will help patients and physicians more quickly identify UF Health as a referral center for interstitial lung disease. Interstitial lung disease includes more than 200 distinct disorders, including idiopathic pulmonary fibrosis, which result in inflammation and scarring of lung tissues. "As the leading resource for the pulmonary fibrosis community, the Pulmonary Fibrosis Foundation is committed to developing new tools and support to help ensure patients receive a swift and accurate diagnosis along with the highest quality of care," said Gregory P. Cosgrove, M.D., chief medical officer of the foundation. "The launch of our 15 new Care Center Network sites provides crucial resources for care along with an infrastructure that facilitates research toward a cure." 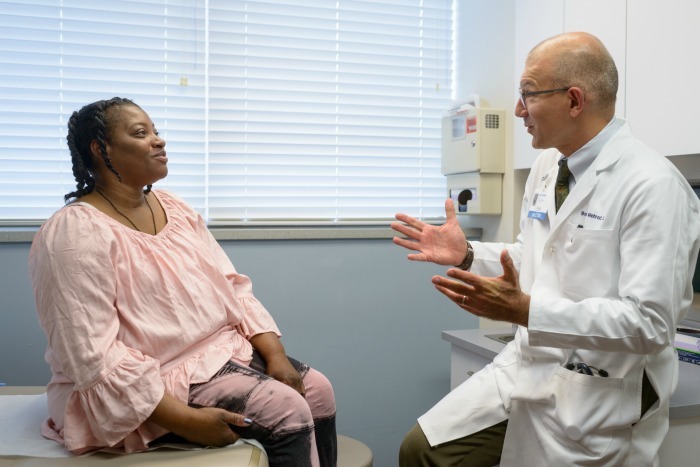 The Care Center Network fosters a multidisciplinary approach to delivering comprehensive patient care, the foundation said. Experts in pulmonary medicine, rheumatology, radiology and pathology are part of the care team at each medical center. Network facilities also foster research and patient education. Care Center Network sites “have experience and expertise in treating patients with fibrotic lung diseases and are dedicated to improving the lives of those living” with pulmonary fibrosis, the foundation said. Mehrad noted that patients whose diseases are managed by a group of physicians dedicated to interstitial lung disease respond much better. 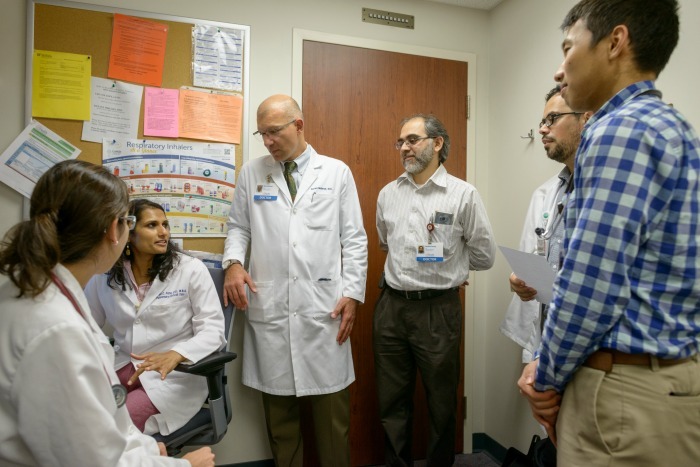 “It’s really important that these patients are seen by a group of lung doctors who specialize in these diseases, take care of them all the time, read about them, think about them and write about them,” he said.